We have over 20 years of data about charter schools (partial schools) and how they have benefited or damaged public education and children. Originally, the purpose of charter schools was to free educators with new insights and give them the support they needed to create education programs that would improve our public schools. Many effective educators believed they could demonstrate ways to break out of the old top-down coercive systems (the factory system) and make our public schools more effective. Now, after 20+ years of experimenting, we must identify the effective charter schools and make certain that what they have learned and demonstrated is integrated into our comprehensive schools. “Choice” is a marketplace idea wrongly applied to education. The assumption that most parents have the information they need to make intelligent decisions about the education their children need, and the education children need to be effective citizens, has been proven wrong. School choice has failed to improve our schools. In fact, choice has created a chaos of confusion for parents who have risked (gambled) on moving their children out of comprehensive education programs to place them in partial education programs. The costs of these misguided experiments is evident in high dropout rates, incomplete educations, and damaged children. Criminal activities created by intentional lack of accountability and unfettered access to our public tax dollars is horrendous. In addition, the experiment has resulted in massive duplication of services that sap money needed for our children and increase the cost of education for no valid reasons. Politicians, ideologues, so-called libertarians, and crooks attracted by profit motives, took over the charter school experiment. 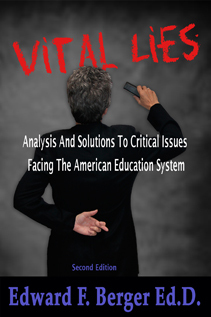 They decided, with no educational data to back their decisions, that charter schools, regardless of whether they worked for children or not, whether they served America’s need for an educated populous or not, would become stand-alone schools that could be run with little accountability, certification, or even democratically elected boards. Now, tax money is often used to create private Real Estate empires. Our tax dollars that we pay for children and their education are siphoned off to individuals, corporations, and companies that contract with charters to provide “services.” Is it any wonder that hedge fund operators and the self-appointed reformers see charter schools and outfits like K-12 as income generators? Is it any wonder that the FBI and other law enforcement agencies cannot keep up with the criminal activities of those milking the system? These thefts are criminal even if approved by legislatures. Are you surprised that the largest Charter School operator in America is a Turkish political movement using our tax dollars to bring their people (they call them teachers) into America to support a political agenda in a foreign land? Groups motivated by Koch, ALEC, and those with hedge fund mentalities of fraud and greed, have gone against the clear and expressed wishes of the great majority of Americans (exceeding 85%) who support community based, public, comprehensive schools. Let’s be very clear. The great majority of Americans want children exposed to and involved in these areas of learning: Art, music, the sciences, history, civics, theater, health, languages, social studies, reading, writing, critical thinking, physical education, athletics, cooperative experiences, computer sciences, computer literacy, clubs, projects, research… and this is only a partial list of what public comprehensive schools provide. We citizens want the development of self-motivated children, children with ethics and empathy. Children with heart. Constant testing for data does not serve our children. Those who believe in the future of America and our children want the most successful experimental programs to be integrated into our public schools. We want each community, through its elected board members, to unify all schools that get our tax dollars and close partial schools that do not offer better ways to improve public education. We do not want partial schools to replace comprehensive schools. We do not believe in data mining so reformers can design ways to humiliate children by creating tests that make the children, their teachers, their parents, and their schools look like failures. We demand, but our legislatures and many political leaders ignore us, support for professional teachers and educators who are evolving a good system to keep it relevant for the 21st Century and beyond. We reject the use of school choice to re-segregate America. We demand the programs designed to starve district schools be ended and full funding be restored – and increased – to improve a great and proven system that is the basic building block of our communities and our nation. Dr. Berger, Thanks for the latest post about taking back education from the privatizers. I would like to dialogue about specific strategies we can pursue to do this. Would you be willing to share a direct email with me?